Ever feel as if Governor Andrew Cuomo isn’t the right fit for New York? I’ve felt that way, due to his dances with corruption throughout his multiple terms as Governor of one of the bluest states in the Union. The primary for the Governorship of New York is approaching, and it seems that Andrew Cuomo is going to have to keep his eyes peeled… to the left. An actress turned activist, Cynthia Nixon, has assembled a team to test the waters in possibly running for the Democratic nomination for Governor. And no, she’s not related to Richard Nixon. CNN had reached out to Cynthia Nixon’s team, specifically her publicist. They had asked her if Nixon is planning to run for Governor, and stated the following, “Many concerned New Yorkers have been encouraging Cynthia to run for office, and as she has said previously, she will continue to explore it…” According to an article recently published by the New York Times, titled Cynthia Nixon Explores Possible Run Against Andrew Cuomo, she has been looking into specific policy areas such as transportation. Before you cry out your distaste for a celebrity politician, just wait a second. This isn’t Oprah Winfrey. 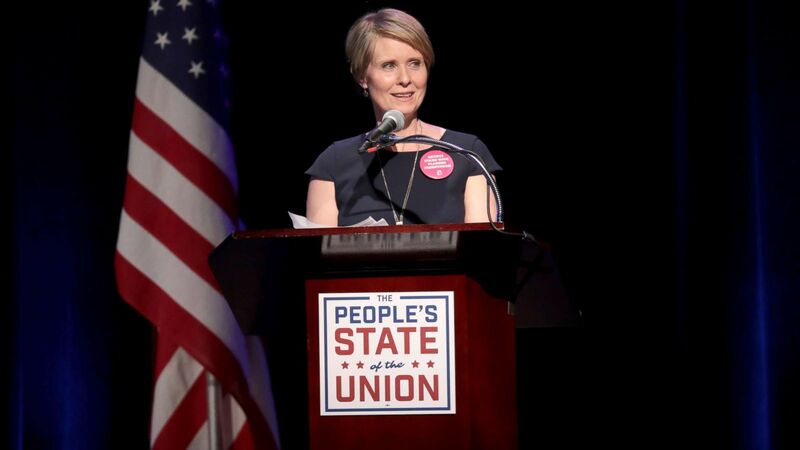 Cynthia Nixon has had a past in activism, a relatively recent history with speaking at events to “elect better Democrats”, criticizing Governor Cuomo, and even ensure the completion of special counsel Robert Mueller’s investigation. So, we don’t have a woman fresh from Hollywood ready to take on a political office, which were inspired by a single speech at the Golden Globes award ceremony. Andrew Cuomo isn’t a bad person, he’s done many good things for New York, and I think it’s appropriate and necessary to give him some credit. He has implemented a $15 minimum wage, beginning in NYC and is now gradually reaching 15 an hour throughout the rest of the state in the next few years. He has established four year tuition-free higher education through the SUNY system (State University of New York). But, what plagues his name is corruption. Most recently, one of the Governor’s aides has been convicted in a “pay-to-play” scandal involving $315,000. According to the New York Post, this was not just an average assistant to the Governor, he is a close friend. There’s a lot he’s going to have to explain during his re-election campaign, and even if he wishes to run for President in 2020. One of the biggest issues many of us face today, and often contemplate, is what’s the point of voting if there’s so much corruption? How do we make change happen when there’s just so much against us, and we don’t even have that many good options? Well, primaries are the key to solving that issue. The way to elect an honest and truthful person to any office is to weed out the ones who aren’t honest and truthful. This issue usually pops up when the subject of presidential nominees arises. How do we enact progressive reforms, which benefit all Americans, when we have extremely horrible candidates/options? This is the starting point! This is where we weed out the worst of the worst! We have a chance now to elect a truly progressive individual of a state that needs to continue being progressive. One step at a time, at each level, we weed out the worst politicians. We choose the lesser of two evils for the moment, and come next election cycle, we vote for the better alternative in the primary. This movement is more than a resistance, it’s about fixing everything’s that’s wrong, and we have to accept that it will take time. We aren’t going to have an revolutionary upheaval through violence, blood, and sweat, we’re not going to destabilize our country like what’s happened in other places around the world. We will continue to spread the truth; that in reality we don’t have many people in office who really care about any of us. That in reality, our current government is giving millions of dollars to the wealthy, and only a few thousand dollars to you. That Donald Trump is raking in millions of dollars in just one year thanks to his tax plan, and not spending that money to better your community. We can’t just pay attention during presidential elections every four years, because for as long as this country stands, the question will always be: who’s the lesser of two evils?